Two men were arrested on suspicion of criminal damage following an incident at the Stephen Lawrence memorial plaque in southeast London, the Metropolitan Police said. Police said the pair are alleged to have spat at the memorial and broken a flower pot. The men, aged 18 and 19, have since been released on bail until May 29th. 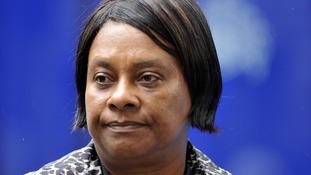 Scotland Yard is to request a private meeting with the parents of murdered teenager Stephen Lawrence to share the findings of the criminal investigation into alleged misconduct by undercover officers. The force is writing to Doreen and Neville Lawrence in order to discuss Operation Herne, the probe into Scotland Yard's Special Demonstration Squad (SDS) - the top secret unit that was up and running for nearly 40 years.